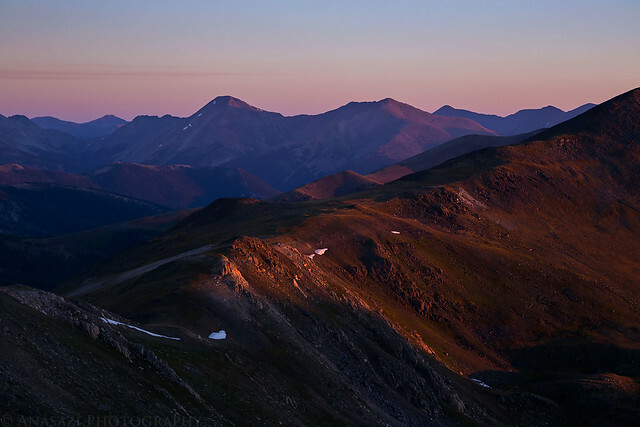 Mount Ouray at sunset from the top of a ridge near Marshall Pass. 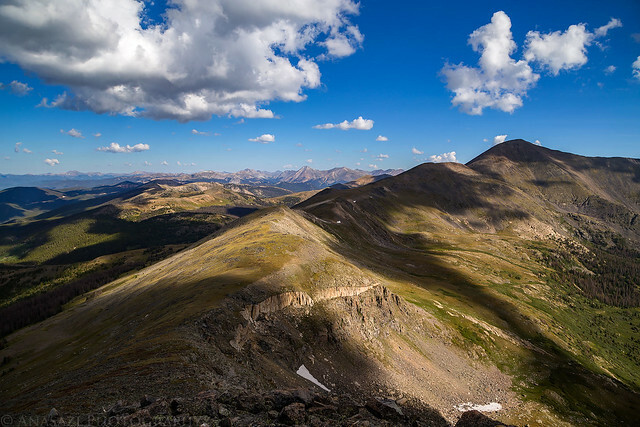 After climbing my first two 13ers of the year last month and realizing that I really haven’t climbed any high Colorado 13ers yet, I thought it would be a good idea to get one in this summer. Since Mount Ouray (13,971) has been high on my list of peaks to hike for a while, I thought it would be a good one to go for this weekend. 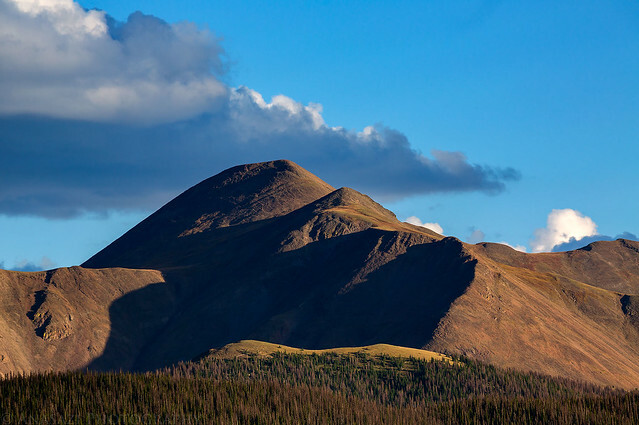 Mount Ouray is located at the very southern end of the Sawatch Range just off the Continental Divide and is the 5th highest 13er in the state, being just 29 feet short of 14,000 feet. 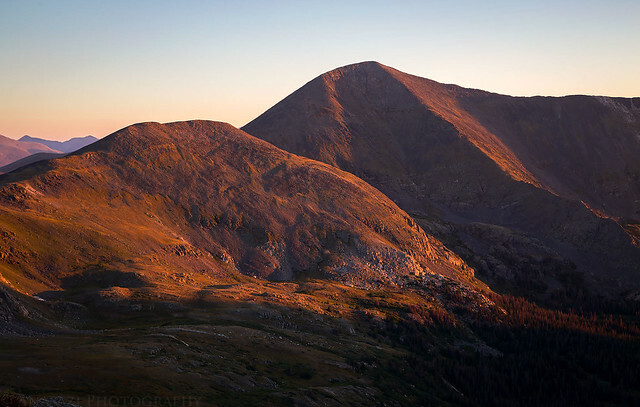 I had actually wanted to climb this peak last year during my fall trip, but I didn’t end up making it there. 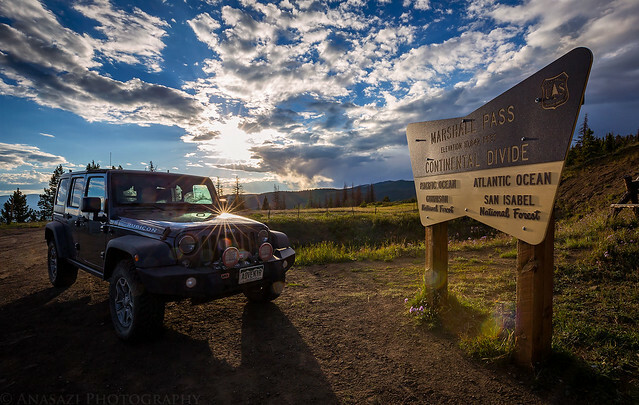 I left after work on Friday and drove straight to Gunnison where I had a quick dinner and topped off the gas tank in my Jeep. I then continued on Highway 50 to Sargents where I turned onto a gravel road that took me up to Marshall Pass, which is where I planned to spend the night and start my hike in the morning. 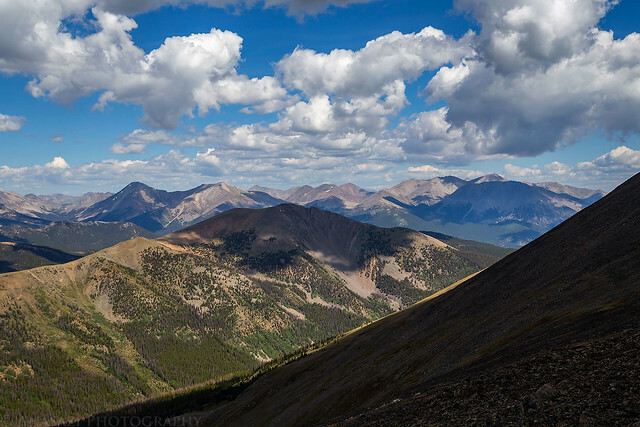 It’s been quite a while since I was last up at Marshall Pass, so it was nice to return. I found a nice campsite just below the pass near the trailhead for hike and set up camp. 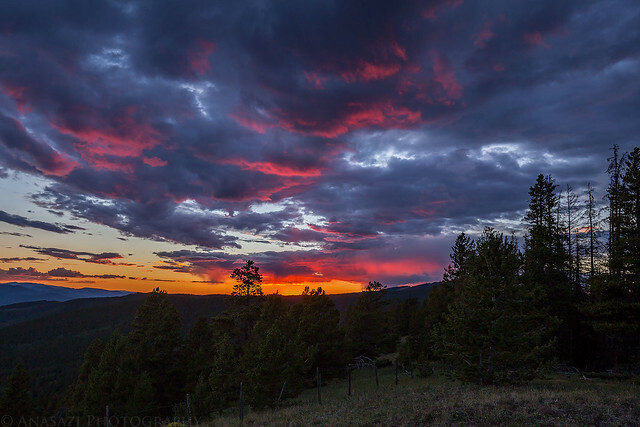 Then I went for a short hike up the Colorado Trail and caught a colorful sunset from the top of a ridge just above the pass. After returning to camp I went to bed early so I could get an alpine start on Saturday morning. 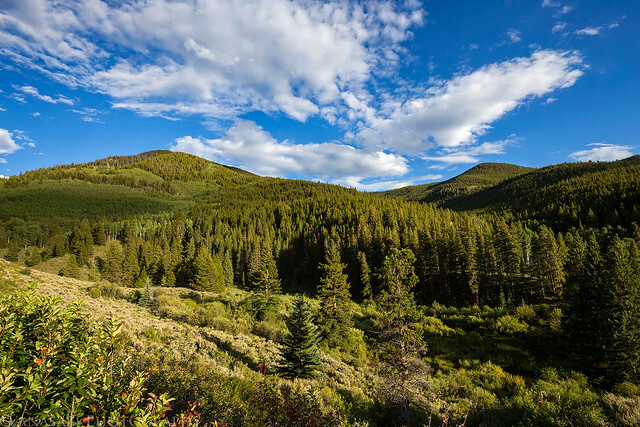 A scenic drive along the Marshall Pass Road. My first view of Mount Ouray as I drove up to the pass. There were some nice views of Antora Peak (13,269) near the top of the road, too. I caught a nice sunstar on my hood at Marshall Pass (10,842). I went for a short hike on The Colorado Trail near my camp for this view of Mount Ouray at sunset. There were some nice vibrant colors to the west visible from the ridge. On Saturday morning my alarm went off at 4:00am and I started my hike under a clear sky full of bright stars. I started the climb from near the Hutchinson Cabin and managed to find a faint trail in the dark that led me through the trees. 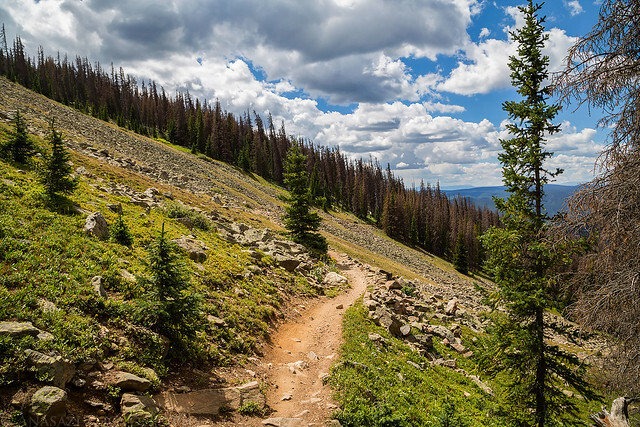 When I reached treeline the trail disappeared, but it was an easy hike to the ridge above from there. 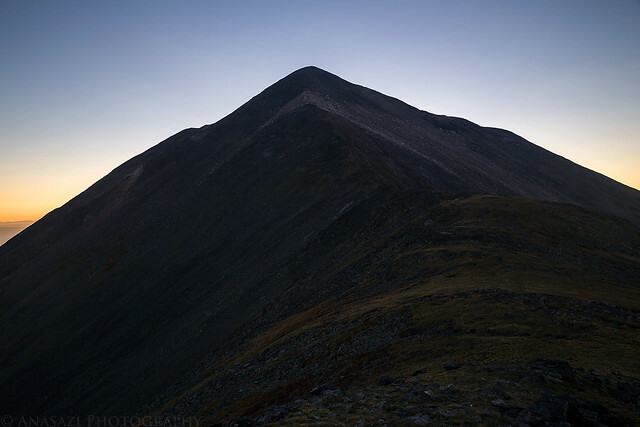 Once I reached the top of the ridge it was easy to follow all the way to the summit with no obstacles along the way. It was a great place to watch the first light of the day. 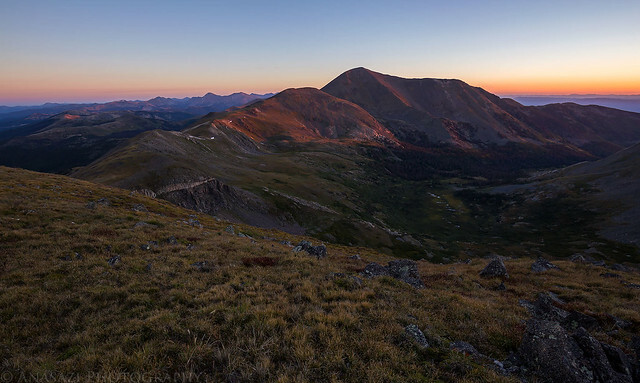 I caught the sunrise from the first high point along the ridge overlooking Little Cochetopa Creek to Chipeta Mountain and the Sawatch Range north of there. After hiking through the trees in the dark it finally started to get lighter out as I hiked along the ridge. The entire route to the summit can be seen in this photo. 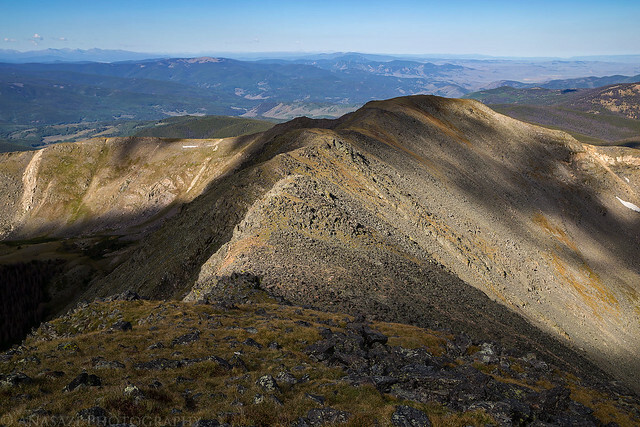 Looking back down the ridge toward Marshall Pass with Antora Peak on the horizon below the Earth’s shadow. 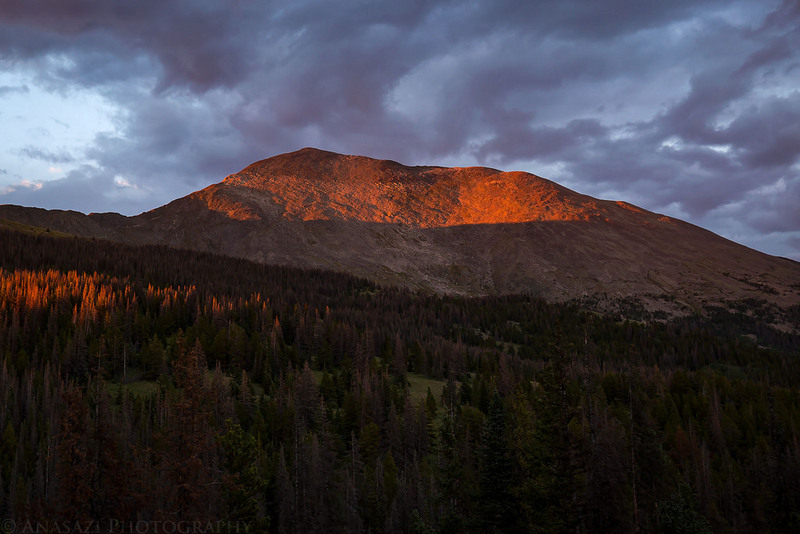 Alpenglow on Chipeta Mountain (13,472) and Old Chipeta Mountain (12,850) across Little Cochetopa Creek. 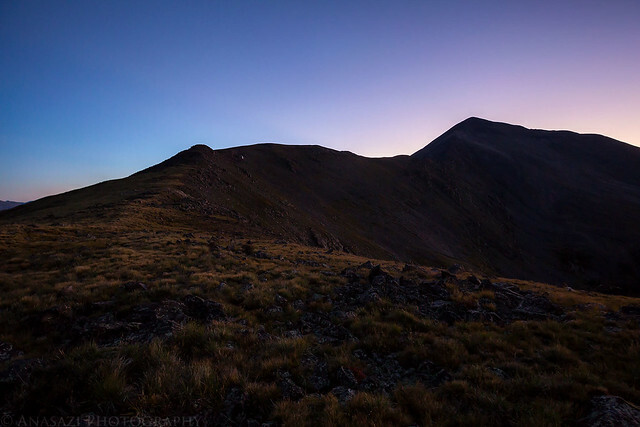 Looking past the ridge to Mount Aetna (13,745) and Taylor Mountain (13,651). 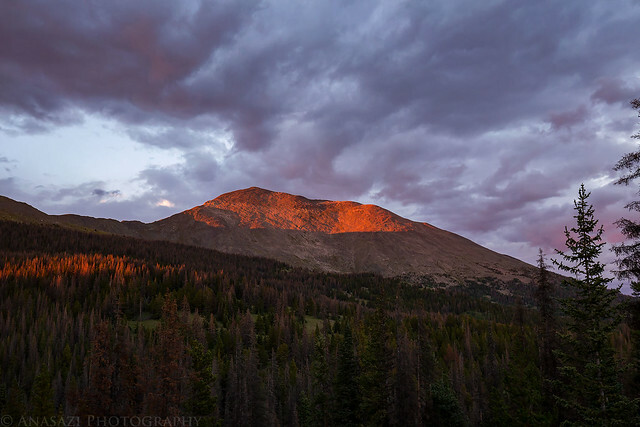 A closer look at Old Chipeta Mountain (Chipeta Mountain South) and Chipeta Mountain at sunrise. 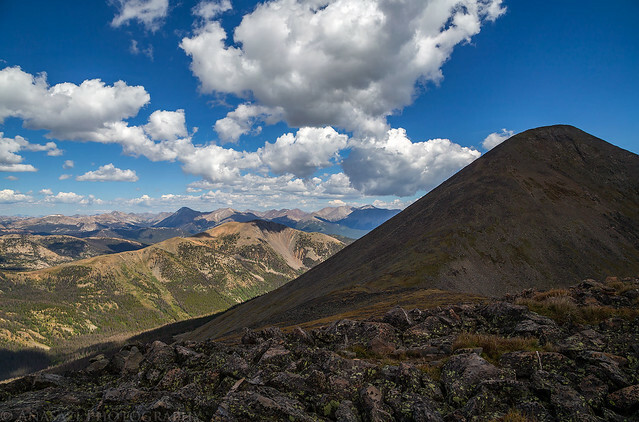 Following the ridge to the summit of Mount Ouray. 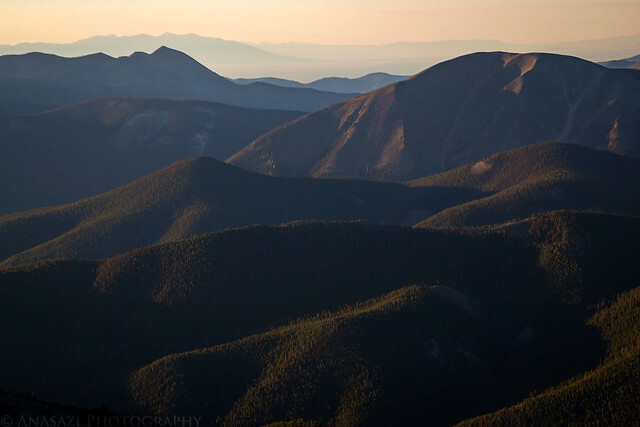 A hazy view toward the Sangre de Cristo Mountains with Culebra Peak just visible to the right of The Blanca Group. The shadow of Mount Ouray below me. I hiked in the shadow the entire way until I reached the summit. The last 1,000 feet to the summit was slow going for me, but the weather was looking good and I was in no hurry this morning. Eventually I reached the summit and had a hazy view of the surrounding area all to myself. 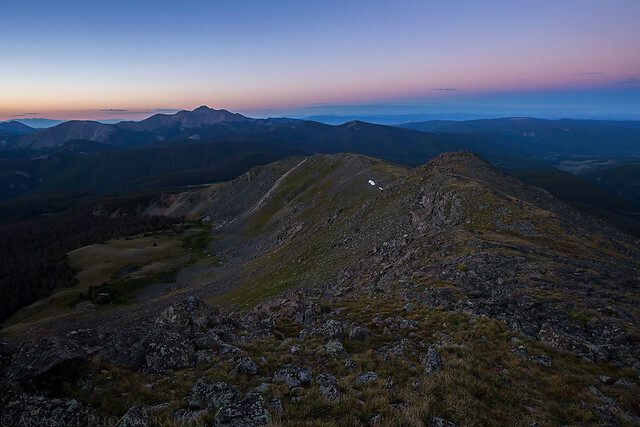 I would not run into any other people until I was back down to the high point that I had photographed sunrise from. I was feeling pretty good at the summit so I decided to try and hike over to Chipeta Mountain next. There was actually a very recent name change to Chipeta Mountain, as explained in this article. 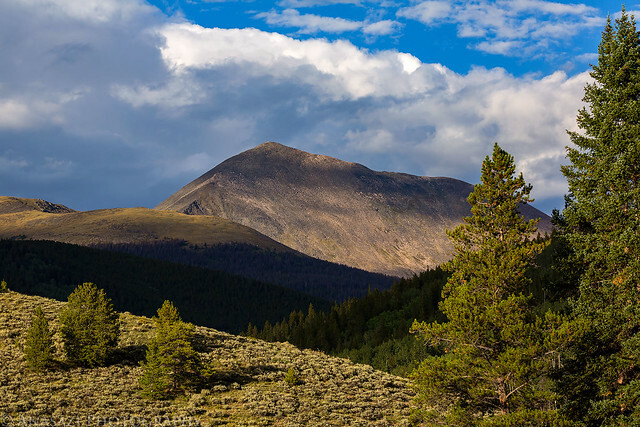 Long story short, up until earlier this year Chipeta Mountain was officially the 12,850 foot peak that lies on the Continental Divide below the higher 13,472 foot peak (and is still labeled that way on USGS Topo maps), but as of May 10th of this year it has officially changed to the taller 13,472 foot peak. 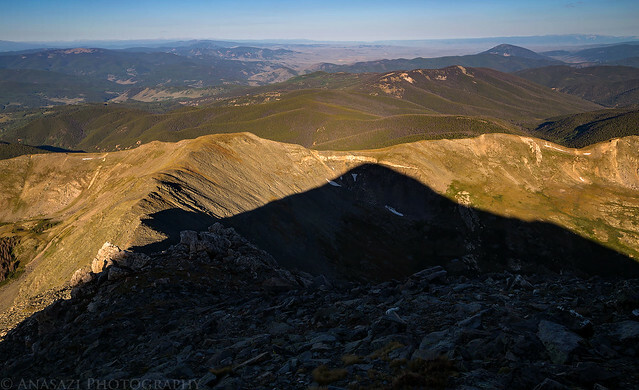 I’m going to refer to the 12,850 foot peak as ‘Old Chipeta Mountain’ throughout this trip report. 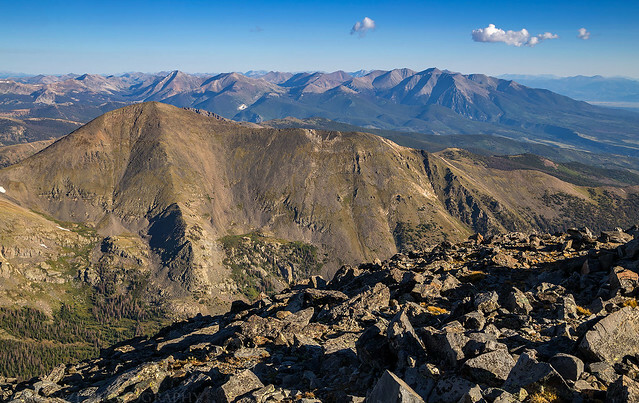 I was hoping to reach them both when I started hiking down from the summit of Mount Ouray. 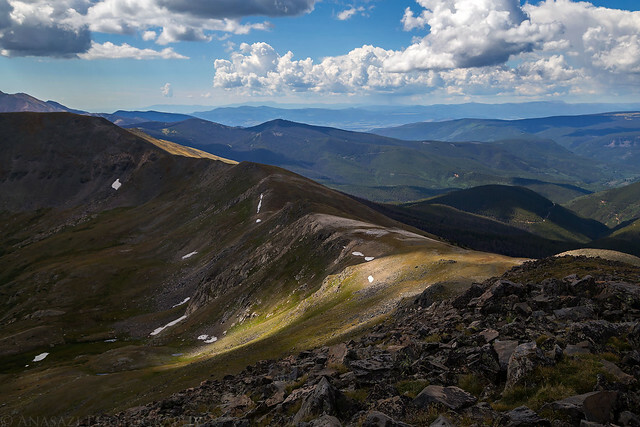 The view from the summit over Chipeta Mountain to Tabeguache Peak (14,155) and Mount Shavano (14,229). Another view of both Chipeta Mountains as I descended from the summit. Hiking back down the rocky ridge. If you look closely you can make out San Luis Peak on the horizon. Following the Continental Divide to Chipeta Mountain. 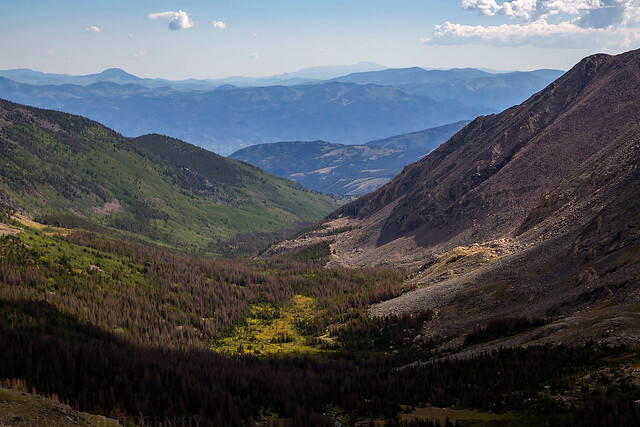 Looking down Little Cochetopa Creek with Pikes Peak (14,110) barely visible on the horizon. 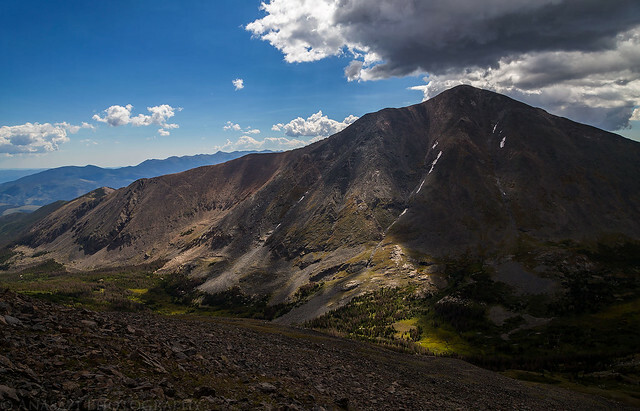 As I was descending down the ridge I was surprised to see dark clouds start building pretty quickly over Mount Ouray. 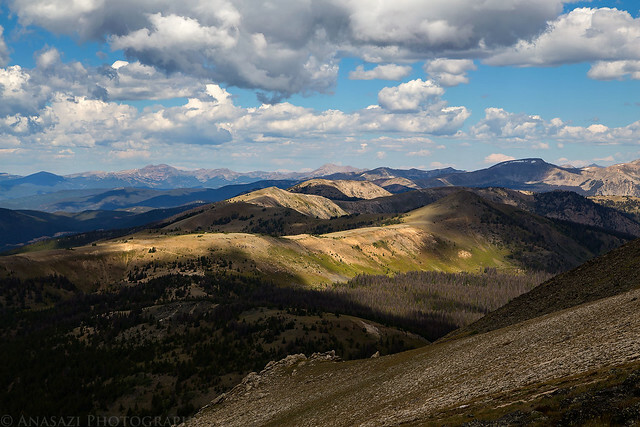 They didn’t look threatening yet, so I continued to follow the ridge along the Continental Divide to Little Cochetopa Creek Pass and then up to the summit of Old Chipeta Mountain. By this time my legs were getting tired and and the dark clouds above Ouray were starting to concern me, so I thought it would be best to call it a day here and head back. 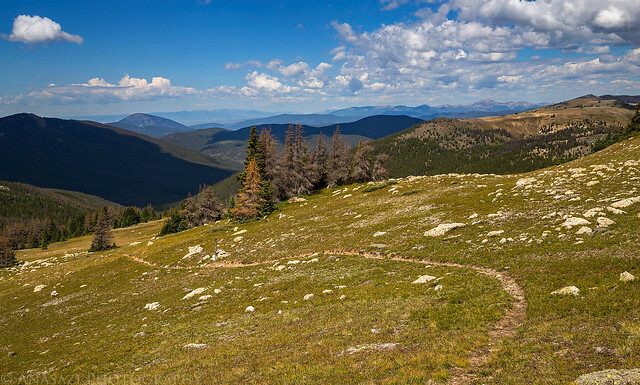 I followed the ridge back down to the pass and then took the trail down to The Colorado Trail which I would be able to follow back to Marshall Pass without going back over all the bumps on the ridge above. 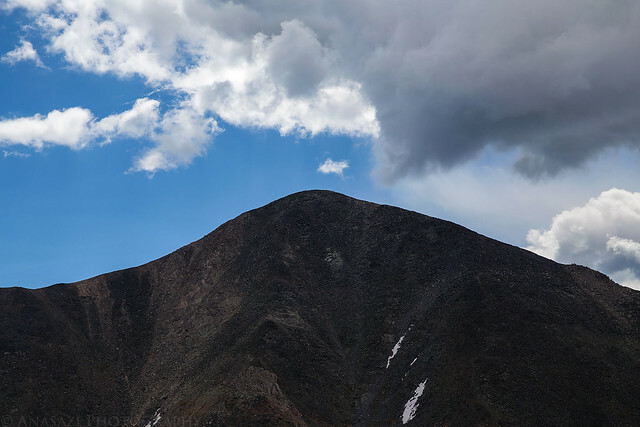 Dark clouds building above Mount Ouray. A nice view of the peaks to the north. Following the ridge back down to Little Cochetopa Creek Pass. Spotlight highlighting the Monarch Crest. Tomichi Dome (11,465) in the distance from near the pass. 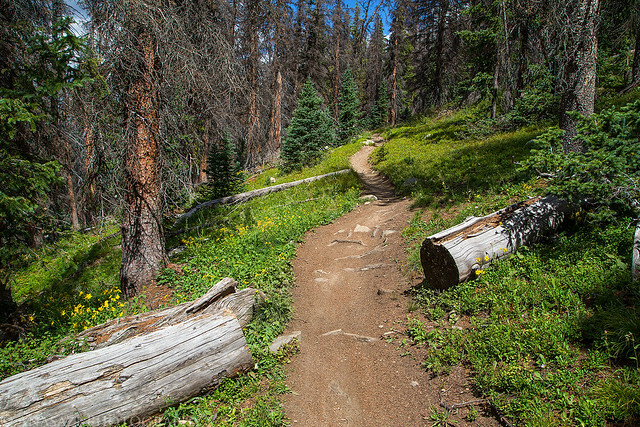 Following the Little Cochetopa Creek Trail down to The Colorado Trail which I would take back to my Jeep near Marshall Pass. I returned to my Jeep at the pass and then started my drive back home. Throughout the hike I could definitely feel a touch of fall in the the air already since the alpine tundra was just starting to change colors. 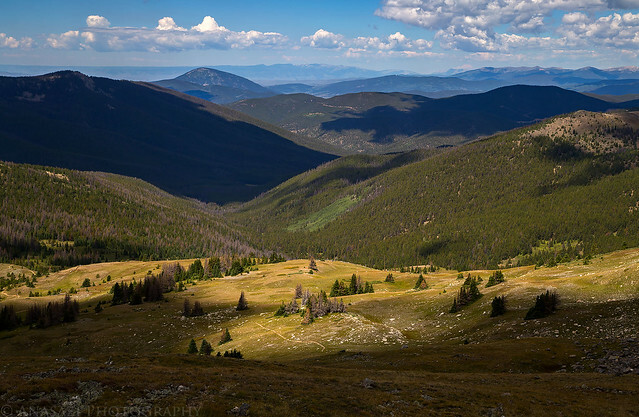 I would also see a few small patches of yellow leaves during my drive back down from Marshall Pass. 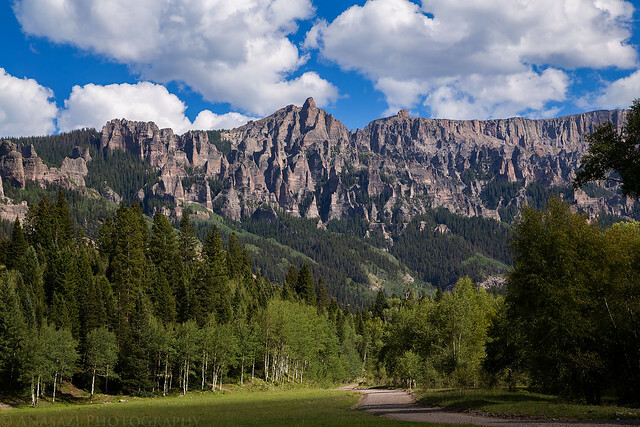 On my way home I stopped for a quick lunch in Gunnison, made a short detour to the Silver Jack Reservoir area, and then took Owl Creek Pass back to US 550 near Ridgway before finishing the drive to Grand Junction. A view up the east Fork of The Cimarron River. 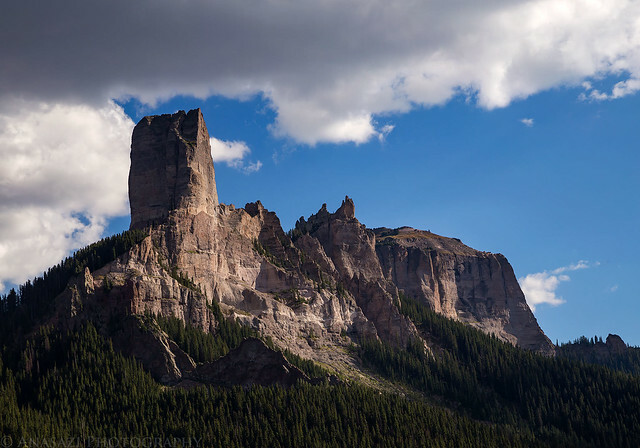 The iconic Chimney Rock taken just below Owl Creek Pass. A map and GPS track of my hike can be found below. Randy, I admire your work immensely and your shots are inspiration for me. I have a filter question. 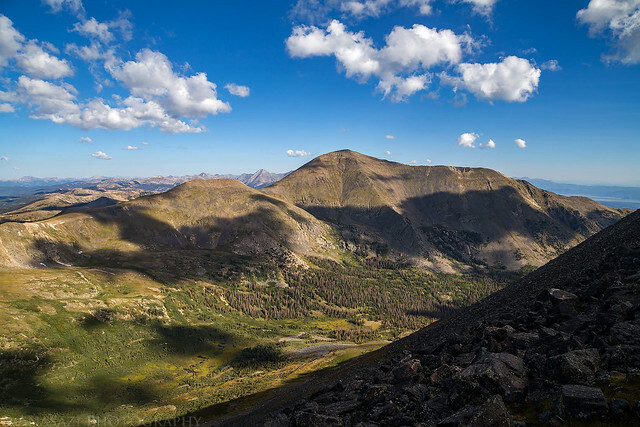 When I changed cameras (Same brand, just a larger kit lens) I noticed that all our beautiful blue Colorado skies weren’t as vibrant. I had both a uv/haze and polarizing filter on the lens. Could the newer camera feel this is overkill? What filters do you use? I appreciate any advice you could give me. I’ve been an amateur photog since I was 8 (so 40 years) and am constantly learning. Thanks Kat! I rarely ever use filters on my lenses unless I really need them for a specific reason (i.e. polarzier for removing glare or ND filter for longer exposure). Adding filters to your lens can only degrade the photo quality, especially if they are low quality filters and doubled up.